Activists are increasingly under attack, with the institutions meant to promote civil society often putting activists at greater risk. The growing number of social movements globally are reshaping civil societies everywhere. To support them, institutions must work differently, with new tools and approaches –the movement mindset. learn how to adopt a movement mindset! Join Rhize’s global community for Adopting a Movement Mindset*, an 8-week virtual course designed to help civil society professionals — campaigners, advocates, technologists, program managers, funders, executives, etc. — who are looking for new and innovative ways to support and protect activists and the movements they’re building. The first 6 weeks will be interactive trainings, with the last 2 weeks as optional workshops for developing action plans with course coaches from around the globe. This course will help you integrate a “movement mindset”* into your work and build new approaches to supporting social movements in your community more effectively and responsibly. Develop an action plan for how to work with movements in your community. Read the syllabus from last session and stay tuned for the release of this session's syllabus, coming soon! why adopt a movement mindset? Activism is under threat, with civic space shrinking across the globe. Rhize’s 2017 report Understanding Activism shows these conditions have often been made worse by the ways in which external actors such as institutional funders and NGOs try to support activists. Rhize developed the curriculum for Adopting a Movement Mindset based on our research, which surveyed over 1,100 activists in ten countries, identifying what activists really want and need in terms of support. Fill out an interest form and learn to leverage your organization’s capacity to better amplify and support movements in your community! Opportunities to learn from and share with civil society peers through group coaching sessions and online discussion. Janet is an activist of the South African liberation movement, having gained experience in the 1980s in both underground and above-ground organization and mobilization against the apartheid regime. Since then she has worked as an activist in ecosocialist, human rights and anti-war movements, in international solidarity movements including Palestine, and as a trainer in strategic nonviolence and civil resistance with activists from a number of countries including Zimbabwe, Swaziland, Egypt and Sierra Leone. Janet is currently a professor in Development Studies at the Nelson Mandela University in Port Elizabeth, engaged in action research on sustainable development and democratic participation, and teaching a Masters course in 'Social movements and social change'. 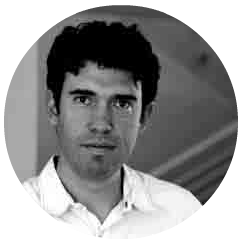 Hector holds an MSc in development planning and management and a PhD in social anthropology. His expertise is on participatory planning for community development. He works with communities and civil society organizations to mobilize local capacities for social change in México. Is cofounder of Tómala.Mx and does research on emergent movements. Rhize is committed to creating equitable access to each of our courses. Tuition fees are based on a sliding scale, corresponding to organizational budget size. Our goal is to ensure your participation is not cost prohibitive. Rhize can also give out partial scholarships as needed. Discounted group rates are available by request. Your tuition directly supports Rhize’s global ecosystem of movement support, allowing us to compensate our coaches equitably, scale opportunities for co-learning and sustain the core infrastructure that powers our global community. Complete the interest form below if you're looking to join Rhize's global community and gain insights on how to support and protect activists and the movements they're building and for more information on the upcoming course. We are also offering discounted group rates and scholarships. You can inquire about these options on the registration form. Activism is under attack, and Rhize’s groundbreaking report, Understanding Activism, has the data proving that civil society is part of the problem but can also be a part of the solution. In interviewing over 1100 activists from ten countries, the research reveals what activists really need to be more effective as well as how external actors can play a role in doing more good than harm.